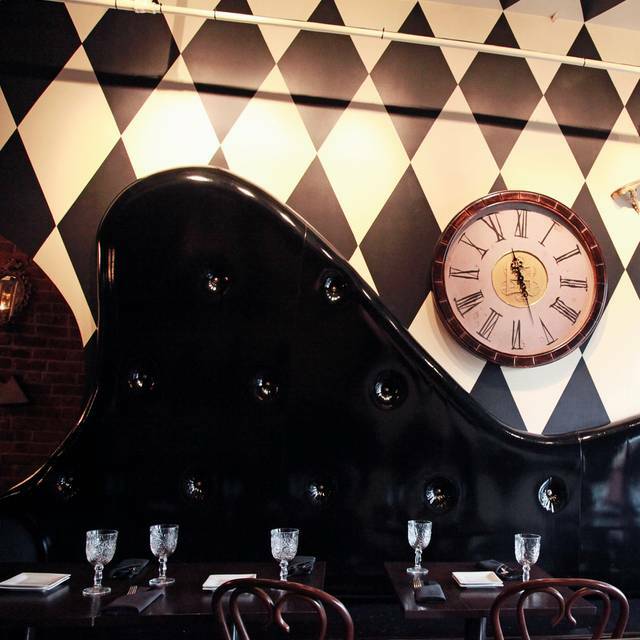 You must make reservations at least 5 minutes in advance of the time at Mad Hatter Bistro. There is street parking, a valet across the street and numerous parking structures. Waiter was awful. Had a drink and appetizer and left to go have our salad and entree somewhere else. Service was the worst I’ve ever seen in Birmingham. Went with 4 ladies and sampled each others plate. All were so yummy! Colin was a great waiter. Great waitstaff, delicious food, yummy tea and cocktails! It was the perfect for our “girls night” birthday dinner! 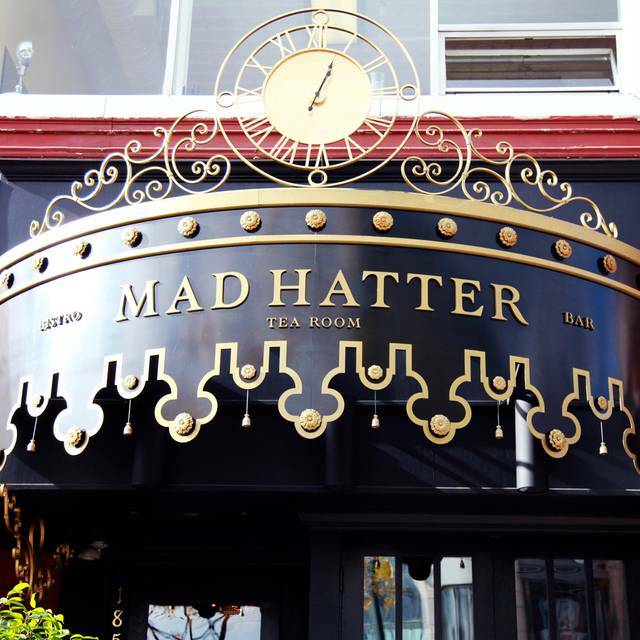 Have been to Mad Hatter a few times for both Dinner and Brunch. Every time the food and service have been excellent. We will be back for sure. Met up with a friend, it was her first time here, she’s always wanted to try it. Both servers were amazing, friendly, patient, suggested different foods & drinks & we felt their happiness. The inside was very interesting because of all the themed art pieces on the walls. Even our drink glasses were oddly shaped & we found that cool. Food was delicious & they were very respectful in our gluten allergy, made sure they took extra precautions while preparing it so no cross contamination. We will be returning & bringing more of our friends. Such a great place. 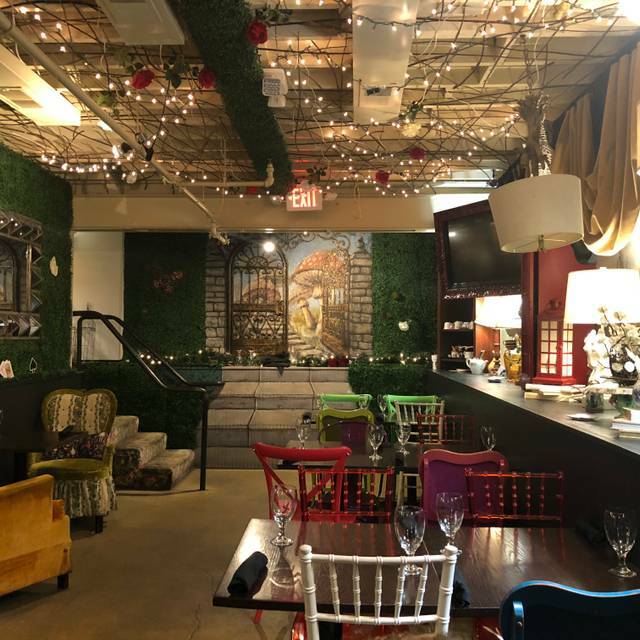 The decor is amazing, the service phenomenal, and the food and drinks are tasty. No complaints, even if you get sat in the odd booths that are a little cramped. They make it work. Menu changes from season to season (including cocktails) so it's always a fresh experience. Great lunch! Honored my request for a quiet spot - great menu recommendations - super service. Definitely recommend! I love how the place looks! They live up to the Alice in Wonderland theme. The service was good. We went for my friend’s birthday and they gave her a free drink and dessert which was great 👍🏼 not many places do that so that really made up for the not so great pancakes the birthday girl ordered. We were expecting fluffy thick pancakes instead they were thin out of a package type? For the price it wasn’t very little. Same with the crab cakes. I ordered for $8, was expecting more than 2 pieces and some sauce. The bottomless tea was good and will come back for the tea party setup cause that looked great. Our server, Jason, was exceptional; kept making us laugh so definitely appreciated that! Planning to come back soon! The place was a lot smaller than I expected, but very cute. Our server was very nice the food and drinks were very good a little over priced for drinks I believe, but over all you must visit at least once.. The restaurant is unique. I enjoy the Alice in wonderland theme and am a lover of all things tea, so appreciated trying new flavors. I also ordered an omelette and got to sit in the window. Lovely place for brunch to watch the Sunday traffic or a child’s tea party. Only thing the seating makes for a tight squeeze. 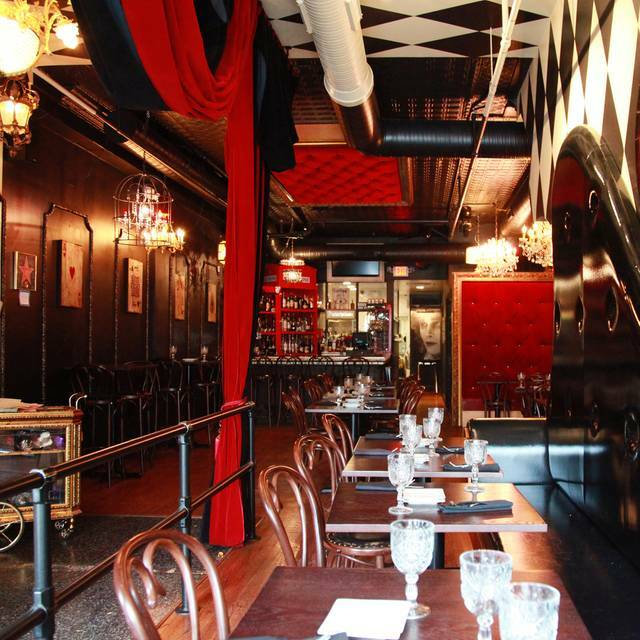 Cool, eclectic setting with good menu options. Everyone liked their food and server was attentive. I've been to this bistro 2 times and both times the waitstaff was rude. The downstairs was cold and dirty. I won't be returning. It was wonderful! Loved the place and the food!! Heather was awesome! 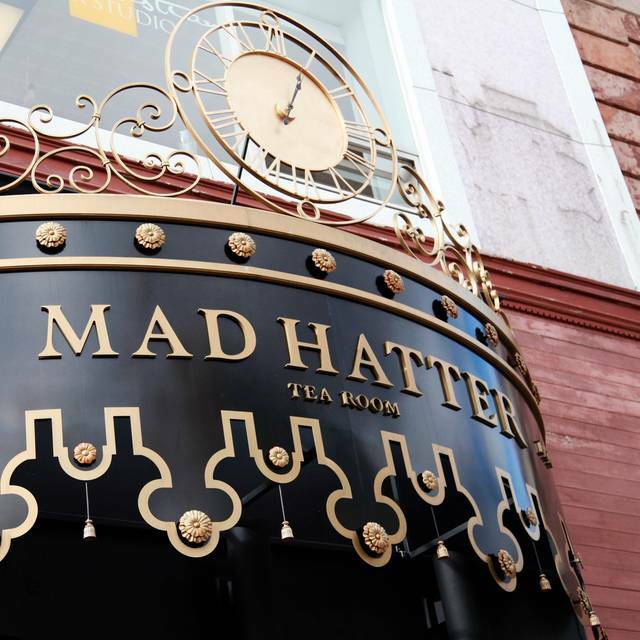 Always the best service and experience at Mad Hatter. I am never disappointed with a visit. Date night out. They had a reverse st patty’s party going. Good food. Good drinks. Great time. Worth the hour and a half drive to come and eat. It’s a great atmosphere, wait staff was incredible, and I wish I had one closer to Jackson I would eat there every week. Staff is amazing and the food is even better! Great atmosphere and beautifully themed. Will be going back very soon. Delicious Food and great service! This is the second time I've been here and it did not disappoint! I look forward to coming back at night for one of their themed parties! 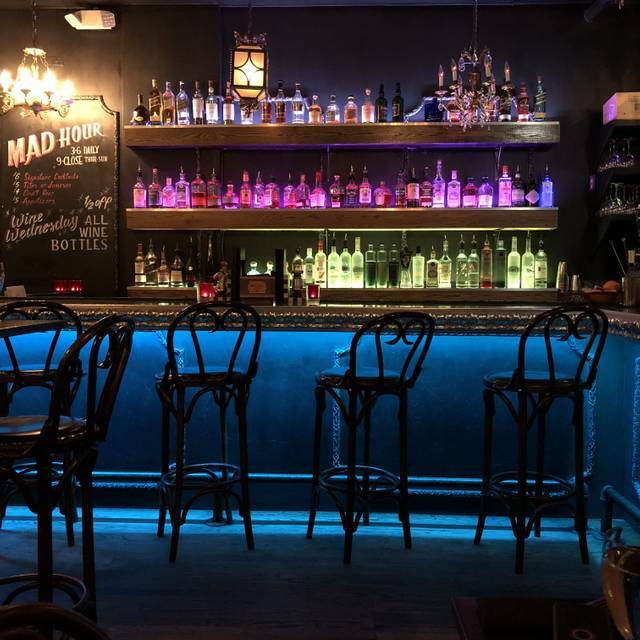 A group of 4 went to Mad Hatter for dinner. We were seated behind the entrance way curtain and there was very little room behind 2 of our chairs and kept getting bumped by staff and patrons. We started w/a bottle of Cab and the Brussel Sprout & Steak Bite Appetizers. Both were very good. The salmon and Caesar’s salad were good, the salmon protein on the Brussel sprout salad was very small. The chocolate beanie butter brittle for dessert was ok. Overall it was ok but no one’s in any hurry to return. I love this place. I usually go at night, this was my first time eating lunch. The staff is always friendly and helpful. The food is creative and delicious. One of my favorite spots in the city. My initial visit ended in disappointment due to the early closing of the establishment that day, and that the times on the door didn't match the times on the Internet. After contacting the GM (Sean), he definitely made up for the mishap with great service, and delicious food. I will most definitely be back. 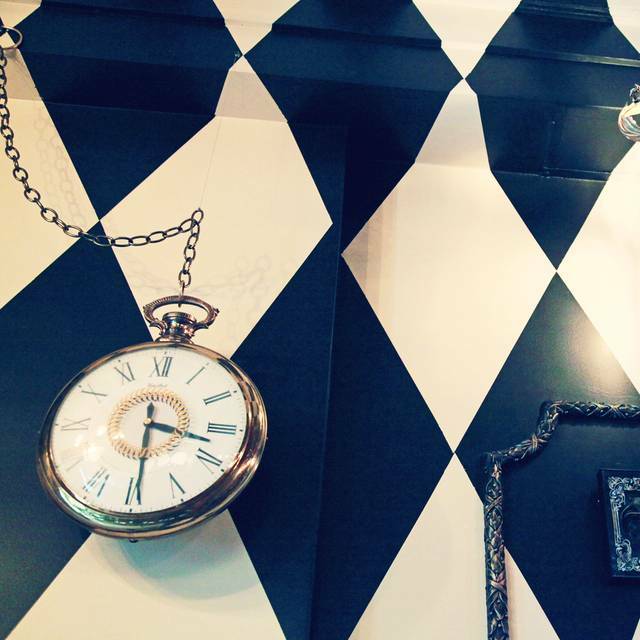 Mad Hatter is a fun dining experience. 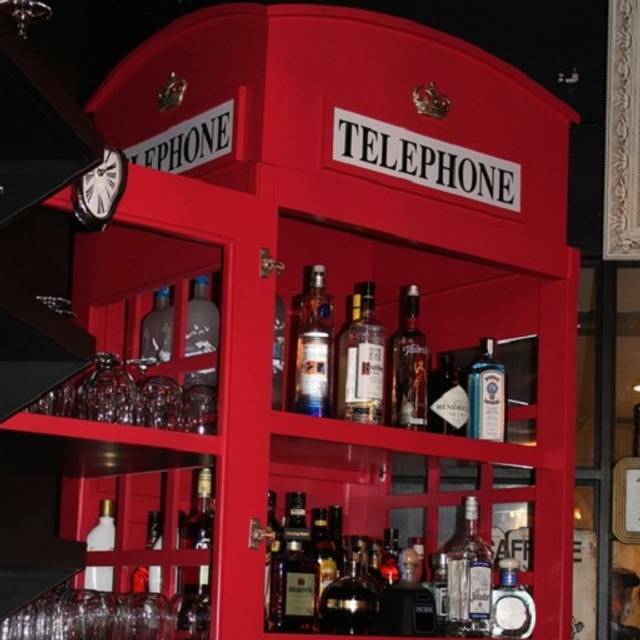 The quirky decor and solid menu make this someplace I will return. We were there on a Monday night. Very quiet evening in town. Had a marvelous speciality Cosmo. Tried the roasted cauliflower as an app and would definitely order it again. It has a great location but their storefront is poorly lit so it’s a bit hard to find. Plenty of street and structure parking available. Has a delightful Alice in Wonderland theme. The restaurants theme and colorful decorations make it a worthwhile stop. The drinks from the bar were pretty good, I had the white rabbit and my wife had the queens cosmo. Service was great, both attentive and prompt. The food however left a lot to be desired. We tried the tomato soup which wasn’t very hot, otherwise it tasted great. I had the shrimp and grits, but the grits had been completely over cooked. The grits were mushy and bland. I ate the shrimp and the corn relish but left most of the “grits” behind. My wife had the petite filet, no complaints there. For dessert we shared the chocolate creme brûlée but we couldn’t finish it. It did not have the hard crack from the crystalized sugar and it was not creamy and smooth, it was gritty like it didn’t set properly. Instead we opted for the banana chocolate cake, which would have been great had the cake not tasted like it was frozen. Overall, it was a neat concept and the restaurant itself is very nice but they could work on the execution of some of their dishes. Great experience, drinks were great, the food was good! This place is beautiful, it really has a wonderland ambiance. The food was amazing and the handcrafted cocktails were to die for! We will definitely be coming back. Lovely place! Needs a little update. Our server was amazing and truly made our first time there memorable. We thought it was so very unique. Our server Heather was amazing. The food was to die for. We will definitely have another date night there again soon. Loved it! Have always had a great experience. We went for Valentine’s Day this year and had a lovely time. Definitely recommend for a great meal and unique experience. Really enjoyed the food, ambience and neighborhood. The service was friendly, professional and relaxed. I'll return when I'm next in town. It was a great quiet space where we could hold a great conversation and enjoy the space. I even commented on how much I enjoyed the music they were playing. 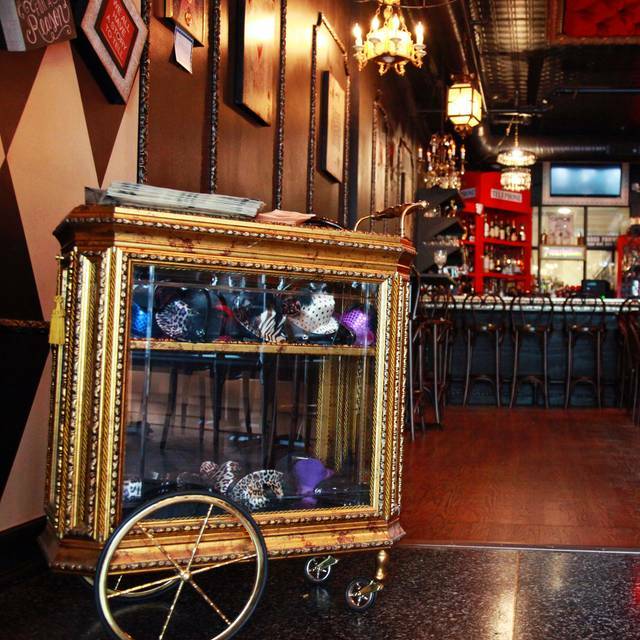 Really cool atmosphere and delicious food for a decent price. Huge fan. The food was oh so delicious. The brussel sprouts were crispy and sweet. Yummmy!!! There was the Chicken dish that was like a marsala, the mushroom sauce was uber tasty and I typically dont lik mushrooms. The sausage pasta was fresh. Lastly, the lobster pasta dish is to die for. So creamy, rich and breathtakingly good. This place is a must! The only reason I took down a star is because the waitress did not get our bill right even after a few tries. Tea Party for a 5 year old. Great fun- wonderful waitstaff, food and atmosphere. Thank you!